Washington, DC, July 15, 2015 — In making a rare midyear adjustment to its annual “Judicial Hellholes” report, the American Tort Reform Foundation today elevated the Circuit Court for Newport News, Virginia, from the report’s less critical Watch List to the more onerous ranking as a full “ judicial hellhole.” Newport News joins a handful of other civil court jurisdictions known as the nation’s least fair and balanced. “Our report, released each December, has documented imbalances in Newport News asbestos litigation in the past,” began ATRF president Tiger Joyce. “But additional research since we placed Newport News on our Watch List late last year indicates that the jurisdiction’s plaintiff-favoring rules and procedures are worse than we thought and now warrant a ranking among the worst of the Judicial Hellholes. “We’re issuing a paper today that details our research, justifies the new ‘hellholes’ status for Newport News and refutes some of the recent pushback our report’s criticisms of the jurisdiction have received from local plaintiffs’ lawyers,” Joyce continued. · Mainstream instruction on causation in maritime cases. A meaningful review and overhaul of what constitutes a “substantial factor” for causation purposes in maritime asbestos cases in Newport News. · Consistent application of the rules of evidence. Whatever the issue, plaintiffs should not be permitted to use the rules of evidence as both a sword and a shield on the same factual question. Instead, juries should be permitted to hear fully from both sides all of the relevant evidence that the parties have to present. 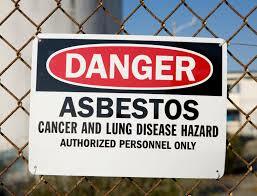 · Greater asbestos bankruptcy trust claim transparency. In recent years, and particularly in the wake of revelations about evidence manipulation arising from the Garlock Technologies bankruptcy proceedings in North Carolina, a growing number of states have enacted laws requiring plaintiffs to file asbestos bankruptcy trust claims before proceeding to a civil trial. In addition, some state courts have adopted case management orders that provide greater transparency between the asbestos bankruptcy trusts and civil tort systems. Virginia should adopt such reforms to promote asbestos bankruptcy trust claim transparency. Since 2002, the Judicial Hellholes program has documented developments in civil courts where judges systematically apply laws and court procedures in an unfair and unbalanced way, generally to the disadvantage of defendants. And for the past two years, the report had specifically criticized the handling of asbestos litigation in counting Newport News among its Watch List jurisdictions. “Until judges in Newport News act to balance the scales of justice themselves, or until lawmakers in Richmond act to do it for them, this jurisdiction’s lopsided management of its asbestos docket is likely to keep it ranked among the nation’s most unfair Judicial Hellholes,” Joyce concluded.